Anyone who has ever had halitosis (commonly referred to as bad breath) knows that not-so-fresh feeling in their mouth. Perhaps someone has awkwardly offered you some gum while holding their breath. When you wake up in the morning, maybe your teeth feel fuzzy and your mouth feels dry. Sometimes you catch a whiff of your child’s breath after a day of snacking and it makes you want to fall over. Everyone has experienced halitosis at one point or another, during their lifetime, so you are not alone. Bad breath is not pleasant to experience in yourself or from others. It’s helpful to uncover the underlying causes and learn how to fix the problem. So, what causes halitosis? How can you treat it and perhaps even prevent it? Unfortunately, we’re all genetically predisposed to having bad breath. We’re sorry to share the bad news, but without proper oral care, everyone everywhere will have halitosis. There are many, many contributing factors to this—food, oral bacteria, plaque, smoking, dry mouth and dehydration, certain medications, braces or other oral appliances, and some diseases or illnesses. All of these things are what causes bad breath. Sadly, it’s fairly unavoidable, but there are ways to keep it at bay and help prevent it. Practice regular oral hygiene routine. Probably the most effective methods of preventing bad breath are brushing and flossing. If allowed to build up in the crevices of your teeth, bad bacteria will start to aid in your mouth’s unpleasant aroma. Mints and chewing gum are no replacement for good dental habits.So, building good oral hygiene habits into your daily life will keep halitosis at bay. Drink more water. One more reason for drinking more water is that it helps keep your mouth moisturized and less appealing to odor-causing bacteria. Halitosis is a byproduct of those bacteria that like to stick to the surfaces of your mouth when it is dry. Drinking water helps makes those surfaces inhospitable for bacteria. Stop smoking. You have heard it time and time again. Calling it quits has instant health benefits, and freshens your breath too! We have some great tips, so ask us for help. Eat these foods. It’s true that there are foods that will help to keep halitosis under control, because for one reason or another, they have properties that fight bad breath. Consider eating more apples, drinking green tea, or adding cherries to your snack. Add some parsley to your meal, drink a glass of whole milk, and eat more spinach—it’s a super food too. Add some lettuce to your sandwich, or eat a salad. Eat some probiotic-laden yogurt, and keep citrus fruits on-hand. Basil, spearmint, cinnamon, and other herbs and spices can aid you in fighting bad breath, too. All of these foods have halitosis-fighting properties and are great for your entire body too. Avoid these foods. Common sense can direct you away from foods that will cause “dragon breath.” Foods containing lots of garlic, onions, and certain herbs or seasonings can cause halitosis long after you’ve eaten them. Once they are broken down and enter your bloodstream, they can continue to cause bad breath. Clean your tongue. This often-overlooked part of our mouth is a breeding ground for all kinds of yucky bacteria, and brushing or scraping your tongue can go a long way in keeping your breath fresher. Use a toothbrush or tongue scraper to clear away the white or brown coating that can collect there. That coating can harbor lots of unpleasant germs that can literally push people away. Schedule a dental check-up. Scheduling and keeping regular dental check-ups will help to identify any issues that may be causing halitosis, and help to prevent the build-up of bad bacteria in your mouth. If you are unsure where to start with finding a dentist, start with searching for a “dentist near me” and use our tips for narrowing the field. Persistent bad breath could be a symptom of a bigger problem, and visiting your nearby dentist will help keep those bigger problems from sneaking up on you. Normal attention to and care of your teeth can go a long way in preventing awkward situations concerning your breath. Brushing, flossing, and rinsing help rid your mouth of your average halitosis-causing bacteria on a daily basis. And we can’t stress enough the importance of visiting your dentist on a semi-annual basis. Allowing us to know you and your teeth will often help us catch problems before they actually become problems. Removing Plaque From Teeth — What Is It And Why is it Harmful? Do your teeth ever feel not-so-fresh? Have you ever wondered why you have that bad taste in your mouth? Have your teeth ever felt like they are coated in a slimy substance? What does plaque have to do with any of it, and why is it harmful? These can all occur in the mouth of anyone who eats food. Is that you? Do you eat food? Then we’re talking to you. That not-so-fresh feeling in your mouth is often leftover food that has decided to camp out on your teeth. If left behind and ignored, that leftover food can turn into plaque on your teeth. And plaque is bad for your teeth. But why? What is plaque, and why is removing plaque from teeth so important? When water and flour mix together, they form a paste. It’s much like this when your saliva and leftover food particles mix together in your mouth. The paste is called plaque, and it holds lots of bad bacteria. The bacteria in plaque is what causes things like gum disease and tooth decay that leads to cavities. The most major ingredient in plaque is carbohydrates. These are found in most any food that you eat–even fruits and vegetables. So, it’s basically true that if you eat food, you deal with dental plaque. Simply sticking to good dental care is essential because letting it “live” there can be very harmful. But, we’ll get to that in a bit. Without removing plaque from teeth, lots of problems can occur. You have a limited window of time to remove plaque before the damage sets in—about 48 hours before it begins to harden on your teeth to eventually form tartar. Plaque on your teeth starts a deadly chain reaction for the health of your gums and mouth. Plaque begins to erode tooth enamel. Once the enamel begins to erode, the bacteria start to settle into your teeth and start breaking them down—or causing decay. This rotting action in your teeth leads to bad breath, cavities, gingivitis (bleeding gums), and can even settle into the roots of your teeth and cause the teeth’s supporting bones to begin breaking down. The name of the game in removing plaque from teeth is prevention. You can keep plaque from building up and causing erosion of your tooth enamel by simply following a regular dental hygiene routine. Brush twice a day, floss, and rinse with an antiseptic mouthwash. Electronic toothbrushes are an effective option. Schedule and keep your routine dental check-ups every six months, to get a thorough cleaning and to check the health of your teeth and gums. Sorry—there’s no cheating on this one, either. Gum, mints, and mouthwash are no substitute for brushing and flossing when it comes to removing plaque from teeth. Skipping your regular dental routine even just once can start the process of tooth decay. 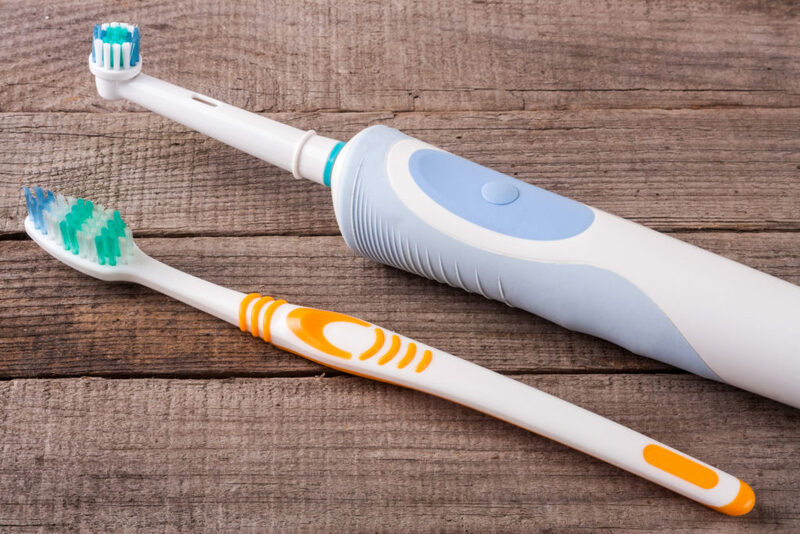 The good news is that while plaque will always be a problem, there are plenty of simple solutions for removing plaque from teeth. Once you build your routine and make it a habit, you will find it easy to maintain. Thousands of Americans are unhappy with the look of their teeth. Yellow teeth, gaps, crooked teeth, and chipped teeth leave many patients wondering how can I fix my smile? But the cost associated with many cosmetic dentistry procedures can leave people feeling like they may never achieve a smile makeover. The good news is that (despite popular opinion) there are affordable ways to get the look you want for your smile. In the event that you do not have dental insurance, you are definitely not “up a creek.” Your smile makeover is still achievable. Some cosmetic procedures are less expensive than others, so we want to provide a breakdown for you. Teeth whitening – There are many, many reasons that our teeth become dull, stained, or yellowed, and make us say, I really wish I could fix my smile, but it’s too expensive! These reasons can include the foods we eat, our smoking habits, the types of drinks we ingest, and many other things. However, teeth whitening can be one of the simplest and most cost-effective ways to achieve a smile makeover. The great news is that there is an ideal teeth whitening option that fits your budget! It can be done in our Charleston dentist office in under an hour. Teeth whitening in James Island, SC, may cost you a few hundred dollars. If that is not feasible for you, we can recommend some really great over-the-counter options that you can purchase at the drug store for a price that will fit your budget. These products can range from $20-100, and we would be happy to help point you in the right direction. 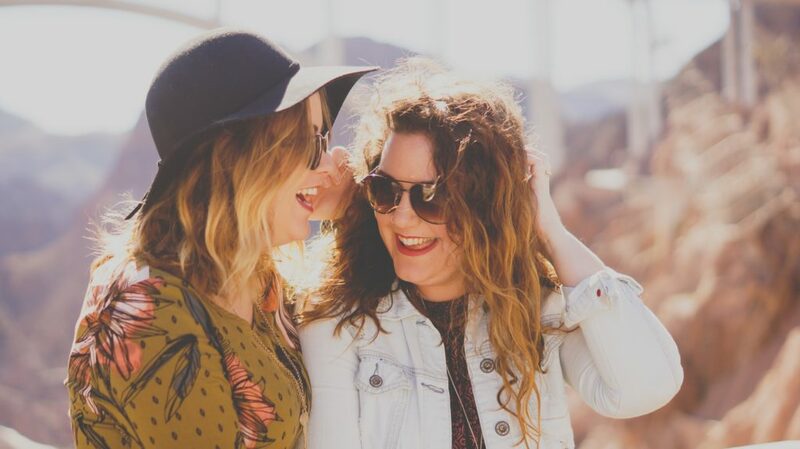 Tooth contouring (tooth reshaping) – While you may hear more about dental veneers, tooth contouring (or tooth reshaping) may be just the ticket when you’re saying, fix my smile! This may be the perfect option for you if you have minor problems or imperfections in your teeth. With this particular smile makeover approach, small amounts of the tooth’s surface (enamel) are removed and then a composite bond is applied to the tooth to adjust it’s overall appearance. This can do many things—smooth out your tooth, make it taller, shorter, less pointy, etc. Dental contouring makes small changes that provide a big impact. Prices for tooth reshaping can vary widely—anywhere from $50-300 per tooth. If you are curious about how tooth contouring may be able to help your smile, ask us about this the next time you are in. You may not need very much treatment, and the cost may be rather minimal. This is definitely one of the more affordable cosmetic dental procedures that packs a big punch. Dental bonding – Made of a composite of materials, dental bonding can be used to easily cover a wide range of cosmetic issues. The bond can actually fill in gaps in your teeth, but it can also repair cracks or chips that may have resulted from injury to your teeth. Normally, dental bonding can create a smile makeover for $100-500 per tooth, depending on the extent of the work that’s needed. White Fillings – Tooth-colored fillings are a great way to mask your cavities, but also help disguise that you even had one. The beauty of tooth-colored fillings is that it reduces the amount of metal in your mouth, hides the fact that you had a cavity, and keeps the natural, beautiful look of your teeth. The other benefit is that white fillings are less impact to your tooth. 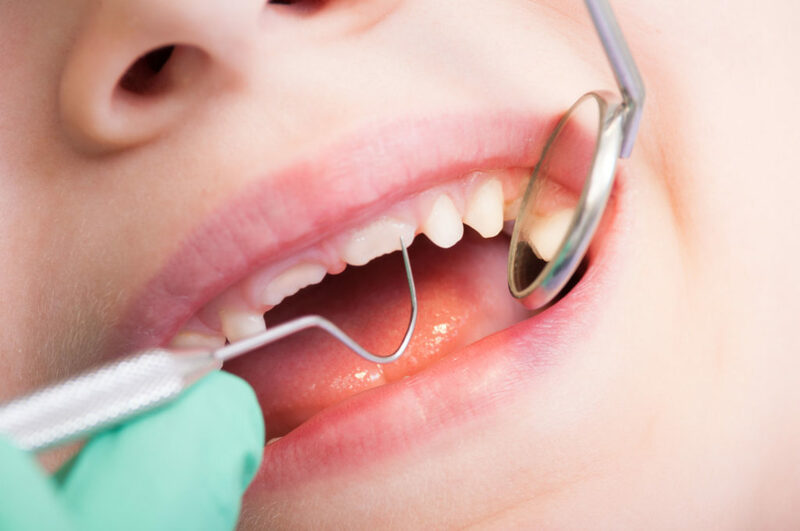 The process used to form those old metal fillings is more traumatic for your tooth’s structure, while the newer tooth-colored versions actually work better with the existing tooth. If you, unfortunately, have to have a cavity filled, this is a wonderful option since it preserves the natural look of your tooth AND helps to heal the damage from decay. Thankfully, insurance usually helps with the bottom line for fillings, so some of your cost can be covered. White fillings usually only cost slightly more than the old amalgam fillings—perhaps only $30-40 more per tooth, depending how many fillings you need. Keep in mind that when it comes to cosmetic problems with your teeth, the root of so many of those issues is what we allow to pass over our teeth—the foods we eat, the drinks we drink, and our habits. Maintaining the fresh, bright look of any cosmetic dental procedure is completely dependent on minimizing your teeth’s exposure to these types of hazards. Foods and drinks that easily stain teeth are fine in moderation, but after time your teeth will again be stained or discolored, and your smile makeover will not maintain its impact. So if you are adamantly thinking, Yes! I have to fix my smile!, it is important to stick to your resolve when it comes to what passes through your teeth. These simple cosmetic dental fixes can have an even greater impact when you are diligent at caring for your teeth. Dental Veneers have become increasingly popular in recent years. They are a routine treatment for common dental problems like discoloration, worn-down teeth, chipped or broken teeth, gaps, and misshapen or misaligned teeth. But, are they an option for you? Weighing all the facts and judging how much yours will cost can help you and your dentist determine if they are a fit for you. How do you know when dental veneers are the best things for you? Parts of the process can and should include careful research, conversations with your dentist, and weighing how much veneers cost. Follow some of our helpful guidelines before you decide if this treatment is right for you. Schedule an appointment to sit down with your dentist. Talk about what you would like to achieve with your teeth or cosmetic problems you would like to see resolved. Your dentist will be able to help you determine if dental veneers are your best option, or if another route might help you better. Make sure you have all the facts before deciding to get dental veneers. Know what everything that is involved—how much veneers cost, the extent of the procedure, recovery, care, and durability. If you know all the facts first, you can make a better decision. Caring for dental veneers is just like caring for your own teeth. There will probably be foods that you will want to definitely avoid, as they will stain just like they would your normal teeth. Also, ask how long your dental veneers will last, and take that into consideration. Find out if you will need a referral. Some dentists do not make their own dental veneers in-house. However, like Three Trees Dental, others do have the equipment to custom-craft their own in-house. If your dentist does not make their own, they may need to refer you to a dental lab. If you think that dental veneers might be in your future, and your current dentist does not make them at their office, consider making a switch. It could save you time and money in the end. If your dentist has to order your veneers from the lab, it can take 1-2 weeks for them to arrive. The dental veneers cost can vary…a lot. The cost depends on the type of materials used—ranging from porcelain to resin composite. Your dentist will help you determine which is most effective for your circumstance, and which will best fit your budget. Whether or not your cosmetic dentist can do all of your dental work at once or not will also affect the veneers cost. Find out what is involved if there is damage to one or several of your dental veneers. Then factor that into your potential cost. With all the dental care advances of the day, this treatment has become a relatively simple solution to many dental issues. If your teeth have cosmetic issues that are holding you back from smiling and exposing your teeth to those around you, it is well worth the cost. We would be happy to show you some pictures of the incredible results we have been able to achieve in our James Island dentist office. Dental veneers can cover over stains, discoloration, and even gaps. But beyond cosmetic dentistry, they can cover over the unsightly damage that may have occurred to your teeth—things like chips or breaks. 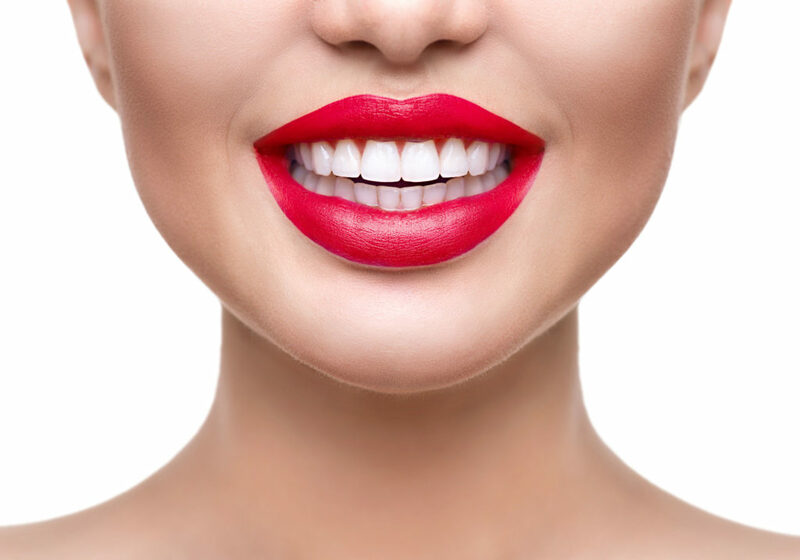 When teeth whitening has not made the impact you were hoping for, or if that gap in your teeth has glared at you in the mirror too often, or if you have a broken tooth or chipped tooth that needs repair, dental veneers may be the answer. As with all dental issues, the most important thing is starting the conversation with your dentist. Exploring your options does not hurt, so start by simply asking the question next time you are in the dentist office. Our primary concern is the health and beauty of your teeth, so we are always happy to answer your questions and take the time to go through all your options. Thankfully, we have a plethora of amazing options at our disposal, so the conversation about cost and whether or not they will work for you does not have to be an intimidating one.